The box does say it has a cartridge slot, which makes it much more compelling IMO. If it also supported original controllers, I'd really be interested, so I could use my Arcade Power Stick. Could you post the list? Site is blocked for me at work. Oh damn. Yeah, this will be a definite buy for me. That's already a really strong list. Man I wanted MUSHA like Japan is getting, but Super Fantasy Zone is cool. Thunder Force III, nice! The list is great so far, love the two Mickey Mouse games too, along with the usual Sega inclusions. I know it won't happen, but man would I LOVE it if Splatterhouse 2 or 3 showed up on this. I went ahead and preordered this on Amazon. Good list of games so far. I wonder if the recently released Retro-Bit controllers which are 6 button would work with this. They have a USB and standard Genesis port controller and they’re officially licensed by Sega. The device has already been rated T for Teen, so no Mature rated games will be on there. Hopefully, QuackShot starring Donald Duck be on it. Loved that game. 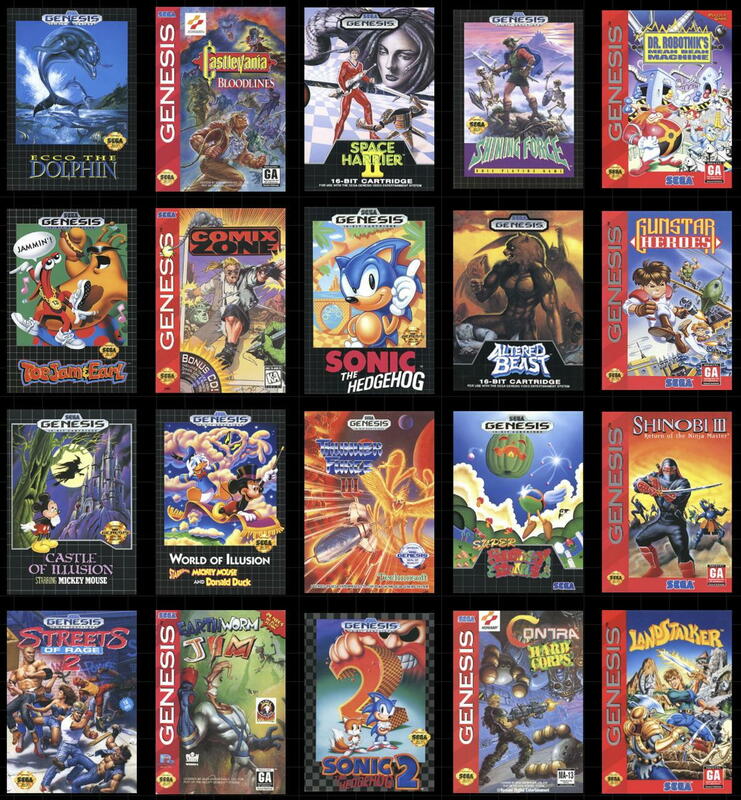 My friend had the Genesis and I had the SNES, so I got to play many of these but it's a great list so far. Already happily pre-ordered.